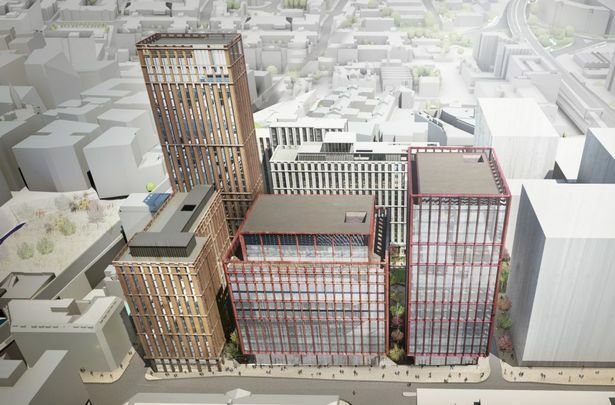 THE largest phase of Bruntwood’s £750m redevelopment of the former BBC site on Oxford Road, branded Circle Square, has been given the green light by the council. - The Ribbon - running around the perimeter of The Green, will feature various food and drink units, terracing and seating. - Medlock Place – a ‘green street’ closer to the river featuring independent shops with an ‘urban high street vibe’. Construction of the Phase 1A is due to be completed in September 2017, while work on the latest phase will begin early next year. You can read the full Phase 1B planning statement here. Chris Oglesby, CEO at Bruntwood added: “Our vision was to design a city centre space that will be enjoyed by a rich and diverse set of people and businesses, and we are hugely excited to see how this enhances the innovation district that is Corridor Manchester, as well as the city as a whole. The next phase of development, Phase 1C, includes a hotel and further 115,000 sq ft of serviced apartments, while phases 2 and 3 total 826,000 sq ft of office space.